A recent ruling by the Fourth District Court of Appeal serves as an important reminder for general contractors and construction firms which are contracted by tenants for improvements to leased property. The court upheld the lower court’s decision that found that the contractor could not assert a claim of lien against the landlord when the tenant defaulted on its construction contract. 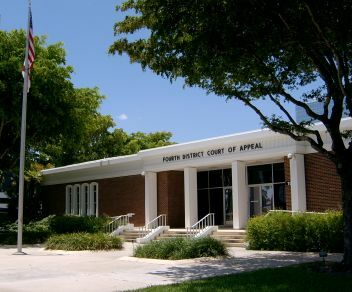 For the landlord’s perspective on this ruling and related changes to Florida’s lien law, click here to read the article by Fern Musselwhite in our real estate blog. In its ruling, the court specifically placed the burden on the general contractor, MHB Construction Services, to understand the landlord’s prohibition against liens and protect itself by binding the landlord under its construction contract with the tenant. The appellate panel noted in its decision that the Notice of Commencement filed by the landlord/lessor does not provide the contractor with the right to lien the property of the landlord who is not party to the contractor-lessee contract for the improvements. Also noted in the decision were the facts that the landlord’s lease and its properly recorded Notice of Lien Prohibition expressly prohibited claims of lien for improvements made by the tenant, the lease required advance written consent for the improvements by the landlord, and the lease did not require that the improvements be made by the tenant. The court also was not swayed by the arguments by MHB Construction that a $10,000 reimbursement by the landlord towards the tenant’s improvements constituted an unfair scheme by the landlord to avoid liens and use the tenant as a strawman for the improvements. The court found in its ruling that the $10,000 amounted to less than 10 percent of the total costs of the improvements and was contingent on the tenant receiving a final release from MHB. The contractor in this case is now unable to assert a lien against the landlord and, additionally, must pay the landlord’s attorney fees in the matter. Ultimately, it has learned a very expensive lesson about the importance of contractually ensuring its right to a claim of lien against the landlord/lessor in construction contracts with a lessee tenant. Our South Florida construction law attorneys work closely with our clients to help ensure that their lien rights are soundly protected in all of their contracts with tenants, landlords and owners. We write about important cases and matters affecting the construction industry in this blog, and we encourage industry followers to submit their e-mail address in the subscription box at the top of the column on the right in order to automatically receive all of our future articles.